A cyclist who was injured in an accident in Beijing died en route to the hospital after vehicles in rush-hour traffic didn’t yield to the ambulance carrying him, the Beijing Evening News reported. The victim, a man in his 50s, was critically injured after a collision with a heavy truck in west Beijing on Dec. 7, according to the newspaper. 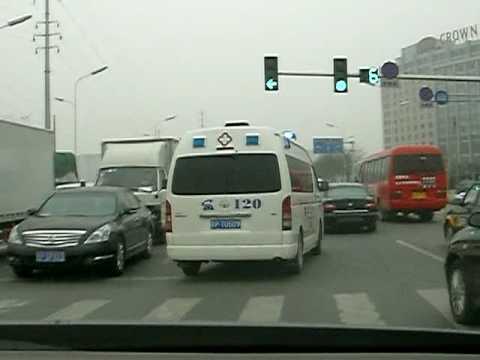 The ambulance crew performed emergency resuscitation and was transporting him to the nearest hospital about 3 kilometers (2 miles) away when they encountered heavy traffic, the newspaper reported, citing the accompanying doctor surnamed Wang. The journey took 40 minutes because all but four vehicles yielded to the ambulance despite repeated sounding of the siren, the newspaper reported. Most motorists also didn’t give way when the ambulance driver tried to get back in line after trying the bicycling lane and finding the path blocked by an illegally parked car, according to the report. Beijing’s municipal government said in August it plans to build a system for imposing road-congestion charges on motorists, adding to caps on vehicle registrations as China’s capital seeks to ease traffic jams.